This exclusive dress was designed by renowned fashion designer Alberta Ferretti and is now available as a pattern here on BurdaStyle. Read about how Alberta Ferretti got her start as a fashion designer and details on her latest collection! Alberta Ferretti was born to a seamstress mother in Cattolica, Italy where she grew up in a creative environment surrounded by a profusion of fabrics and designs. As a child she would play in her mother’s studio which later inspired her to drop out of school at 18 and open her own little boutique named Jolly. Her boutique evolved and she started selling her own designs, which developed into her first collection launched in 1973. 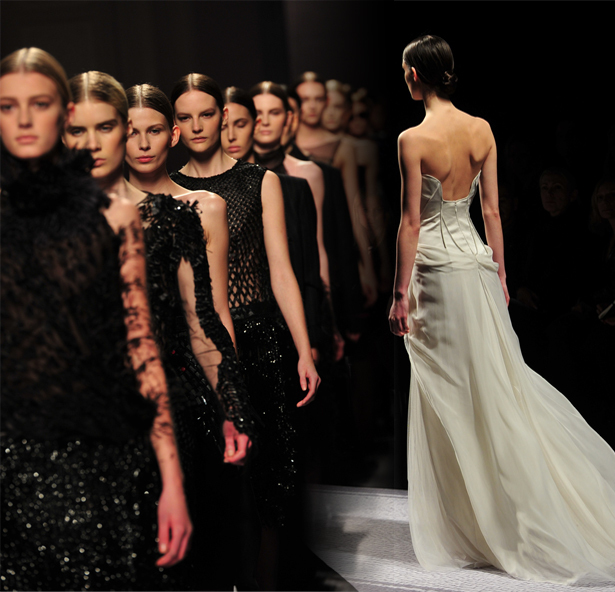 Her clothing drew a generous following and she began showing seasonal collections on the runways of Milan, Italy. She later launched a diffusion line entitled Philosophy di Alberta Ferretti. Not only was Alberta Ferretti an advantageous designer, but she also co-founded a clothing manufacturing and distribution business entitled Aeffe with her fashion designer brother Massimo. Here we have Jada Pinkett Smith and Sarah Hyland both wearing Alberta Ferretti dresses on the Red Carpet, you could lengthen our Alberta Ferretti Dress to achieve a similar glamour look! They expanded their company to the U.S.A. in New York City, where clothing is now produced and distributed for designers such as; Moshchino, Jean Paul Gaultier, and Alberta Ferretti’s own collections. Her successful start in Italy has given her worldwide exposure and she has dominated the American fashion scene, and is always a go-to designer for Hollywood starlets. Alberta Ferratti’s latest fall/winter 12/13 collection showcased a femme fatale-esque look with a very dark monochromatic color scheme. There were pops of purple, blue, and red throughout the collection which brightened up the otherwise masculine mood. Alberta didn’t disappoint though, her signature details were seen all over the runway. The chiffon layers beautifully burst open as the models walked, and glimmering crystal embellishments were mixed with high-shine leather pieces. Her signature design aesthetic includes features like twisting, tucking and draping of fabric which gives her dresses a romantic and floaty feel. Alberta also embraces fancy embellishments like crystal jewelling and hand beading that elevate her designs. Alberta Ferretti has shared with and allowed all of us to recreate one of her exclusive designs in this pattern. This dress features all of Alberta’s signatures from the draping at the shoulder, to the layering of the skirt and the decorative waist embellishment. You can make it in a similar blue to the one here, or use the color palette of her latest collection by making it in black or purple. Oooh, these are lovely dresses! Thanks so much for sharing this article. Cela devrait être une activité amusante et mémorable et chemises de nuit de poule t peut aider à réserver une nuit légendaire dans ses livres d’histoire. Love the dress! Can’t wait until I shrink enough to make it and wear it! I already have the material!!! Thanks! Stunning!!! 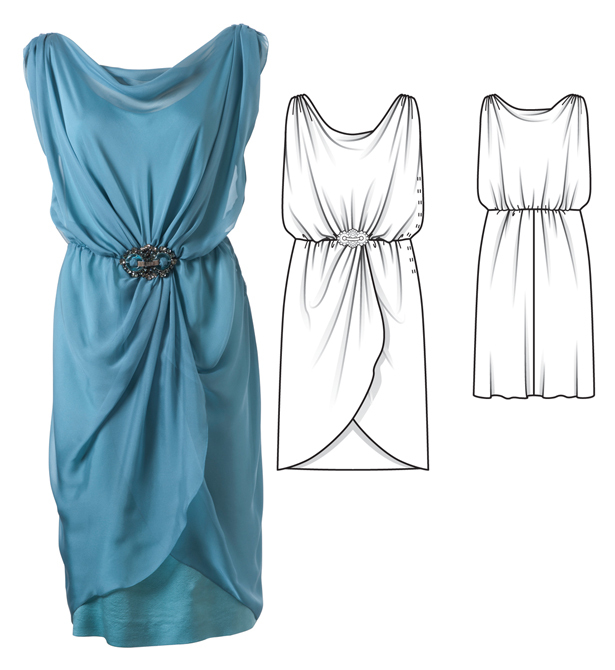 Love the dress and all all of Alberta’s designs….. Pretty dress! I love the draping. I think it’s stunning. I’m not sure how it would look on my chest, but I absolutely love it.